Awards: Nominated for 1 Oscar. Another 2 wins & 2 nominations. This is the true story of Jewish brothers in Nazi-occupied Eastern Europe escape into the Belarussian forests, where they join Russian resistance fighters and endeavor to build a village in order to protect themselves and about 1,000 Jewish non-combatants. 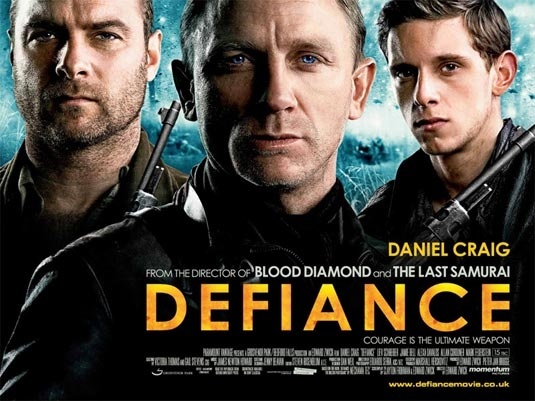 This entry was posted in Action, Drama, History and tagged action, Daniel Craig, Drama, Edward Zwick, history. Bookmark the permalink.